The song, a lead track off its “The Story of Light EP.1,” the first segment of its sixth full-length album “The Story of Light,” was released on Monday evening via local streaming sites. 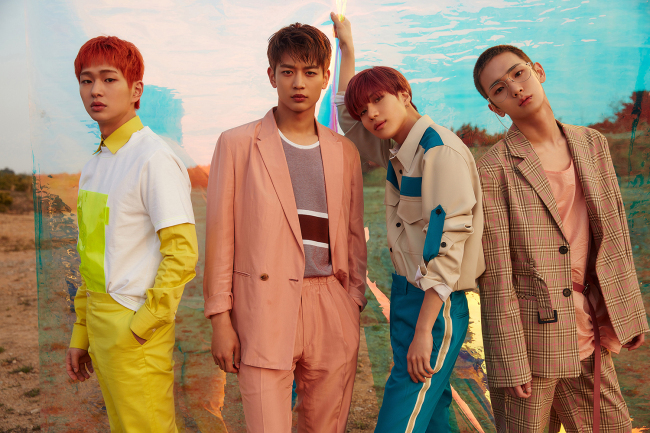 “The Story of Light” is the first SHINee album since the repackaged album “1 and 1” of November 2016, and the first since former member Jonghyun passed away last year. The second and third parts of the album will be released on June 11 and 25, respectively, according to the band’s agency S.M. Entertainment. In commemoration of the 10th anniversary of its debut, the band held a fan meeting at Korea University in Seoul on Sunday.